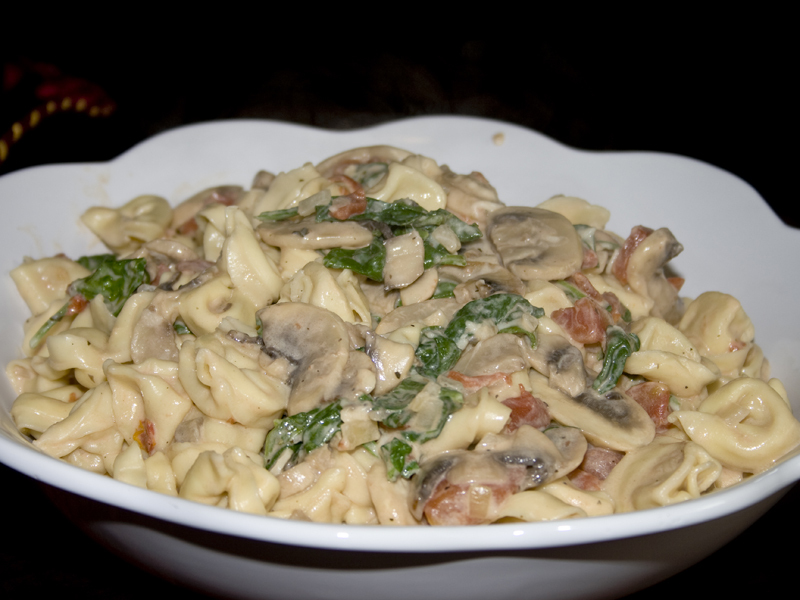 Throw dinner together tonight with this quick and easy tortellini dish. Once a week I make something without meat in it. 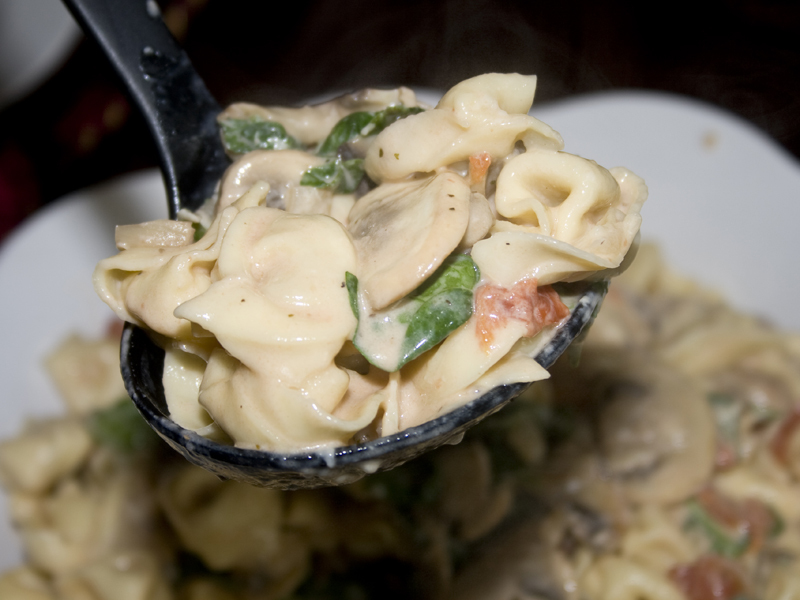 This dish has lots of fresh and filling vegetables wrapped in a creamy sauce with rich cheesy tortellini. It would be easy to throw some chicken into if you really can’t give up your carnivorous dinner – but I find it refreshing once in a while to leave the meat out. Did I mention how easy this is? 20 minutes and dinner is on the table! Enjoy! Cook tortellini according to package directions, leaving them just slightly underdone. Meanwhile, in a large skillet, saute onions & mushrooms in butter until tender. Add the tomato & garlic; cook and stir for 3 minutes. Stir in cream cheese, milk, parmesan, salt, Italian seasoning and pepper. Bring to a boil over medium heat. Reduce heat; simmer, uncovered, for 10 minutes or until cheese is melted, stirring occasionally. Drain tortellini; add to skillet. Add spinach last, tossing until wilted and combined. Cook 2-3 minutes or until bubbly. This looks great! I’m not much of a cook but this seems easy and yummy. I’m a life-long vegetarian (I can hear you gasping right now!) and would really appreciate it if you would post more of your weekly meat-free dishes. LOL! I did gasp. Lifelong anything is a big deal though. I’ll try and get better about posting more of the meatless stuff. Do you eat fish? Or no meat at all?